Golden City Brewery | What's Happening in Golden? The downtown merchants will be handing out candy from 3:30-5:30. To protect the trick or treaters, the City will shut down Washington Avenue from 11th to 14th Streets and 12th and 13th Streets from Miners Alley to Prospector Alley. Golden City Brewery is celebrating their 25th anniversary with a Halloween/Anniversary party. They’ll be selling beer at 1993 prices, so have a pint and bring your growlers! From 5:30-8PM, School of Mines Students will be out trick or treating for canned and nonperishable food items to donate to the food pantry at the Christian Acton Guild. 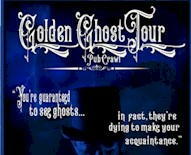 There are still a few openings available for tonight’s Golden City Historical Ghost Tour and Pub Crawl. They will meet in front of the Dove Inn at 7:15. You must buy your tickets ahead of time! Earth Treks Climbing Center is having a Treks or Treat Halloween Party from 6-10 tonight, with a costume contest, prizes, free beer, tricks and treat, and ghostly games. Those of you who are tired of hearing about Halloween will be glad to know that’s this is the last of it…EXCEPT…there’s one final Murder, Mayhem, and Madness tour on Friday, November 2nd. I’m not sure that he scheduled it for this reason, but November 2nd is Día de los Muertos. 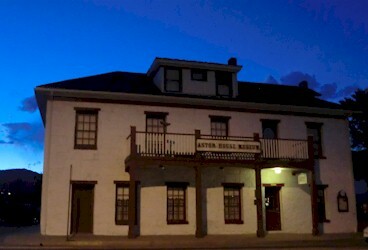 Reserve your place by emailing tours@coloradohauntedhistory.com or calling 888-649-3849. Dinosaur Ridge will give a talk on pachycephalosaurs, the bone-headed dinosaurs from 6-7 this evening. It’s free! The Library will have its monthly Ukulele Wednesday from 6-7:30, and all ukulele players are invited to jam with them. Tomorrow is the first of November, so I’ll be posting my usual preview of events for the month. This new email delivery system makes it much easier for me to add people to the list. If you have friends who would enjoy receiving “What’s Happening in Golden?” have them email me at barb@goldentoday.com, and I’ll add them to the list. The Golden History Roundtable meets at 11:30 this morning at the Library, and should be interesting. Nathan Richie of the History Museum will tell us about Golden’s boarding houses and the important role that boarding houses played in American history. There will be two performances of The Legend of Sleepy Hollow at Miners Alley today–one at 11 and one at 1. Golden City Brewery is hosting a ChiliFest starting at noon today. This is a fund-raiser for the Golden Christian Action Guild. They’ll have chili glasses and a special chili beer! If you’re planning a wedding, you might want to visit the Autumn Wedding Show at the Boettcher Mansion from 11AM-2PM today. The annual Golden Civic Foundation Auction happens today, and sold out quickly, as usual. This year’s theme was “Rock Around the Clock,” a 1950’s-type sock hop. If you weren’t able to get tickets, or you’re looking for an after-party, head to either the Ace Hi or Miners Saloon for a sock hop party this evening. Natural Grocers is offering a free class from 5-6 on “Strategies to Keep Your Gallbladder.” Dr. Jennifer Christian of Alternative Family Medicine & Chiropractic will be discussing strategies for better gallbladder health, particularly for those experiencing discomfort or issues and have been told they’re a non-emergent surgical candidate but want to keep and correct their gallbladder. Just because we “can” live without this important organ doesn’t always mean we should. Get a headstart on Halloween celebrations by taking the Golden City Historic Ghost Tour & Pub Crawl tonight. They’ll meet at 7:15 in from of the Dove Inn, 711 14th Street. The Dove Inn is offering a package price if you want to spend the night there. The Fall Whale of a Used Book Sale continues today at the Fairgrounds. They’re open today from 9AM to 5PM. If you want to get a jump on the other shoppers, you can pay for early bird admission between 8 and 9AM for $10. The Arthur Lakes Library on the School of Mines campus is having a free Concert in the Library today from 12-1PM. Please join us for an eerie and fun Spooktacular Halloween Hangout as Animal Friends returns for their 2nd engagement at the Concert Series. The public is welcome. Learn more about the free concert…. Yesterday, I mentioned that there would be paranormal investigators at the Railroad Museum tonight. Turns out, that will be next Friday, the 26th. D.W. Doucet will perform from 6-9PM tonight at Barrels and Bottles. The Golden Mill (1012 Ford Street – map) is going to be remodeled into a food hall, but in the meantime, there are a lot of interesting events happening in that space. Here’s what’s going on tonight: Come out and enjoy the GLDN SOCIALS second concert series for the month of October! This will be a night filled with great local musicians, amazing local art, and a great atmosphere to connect as a community!! We have a stacked line up this night so you won’t wanna miss a second of the action. We have “West Hues”, “Los Arctic Cumbia Bois (The Los Narwhals in punk form)”, “Marafiki” , and “Los Mocochetes” on the electrical stage in the front room. and in the Forrest stage in the back we have “Sean Christian McDonell” doing a rare vinyl showcase. “12th gage w/ binge cult”!!!!! A “babybabydjset” and our own “purple” ! Please come out and have some fun with us ! This Clear Creek Freak-Out starts at 9PM tonight. There will be a Golden History Roundtable at the Library tomorrow from 11:30AM-1PM. Nathan Richie, director of the Golden History Museum, will talk about “the boarding house phenomenon that provided a home away from home for one third of Americans and challenged social and cultural conventions.” How does this tie into Golden? We used to have a bunch of boarding houses, including the Astor House, the Burgess House, and others. Learn more about the importance of boarding houses in Golden specifically and in America in general. Any questions? Call Barb Warden at 303-278-2701. Golden City Brewery is hosting ChiliFest21 tomorrow, starting at noon. This is a fund-raiser for the Golden Christian Action Guild. A $10 donation gets you a limited edition printed mug and unlimited chili samples (for as long as the chili holds out). Tonight’s Golden Beer Talks topic is “Applying Geological Exploration Methods Towards Locating Clandestine Graves Related to Homicide Investigations.” In other words–using scientific methods to find hidden bodies. 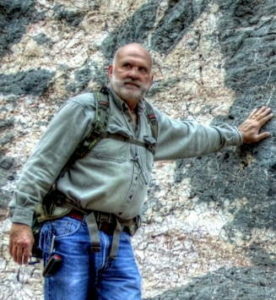 Jim Reed of Golden-based RockWare will describe how the multi-disciplinary volunteers of NecroSearch (e.g. anthropology, botany, criminalistics, entomology, geology, geophysics, meteorology, psychology, etc.) help to solve murders. Tonight also marks Golden Beer Talks 5th Anniversary, and Dr. Jim Dale will lead his annual auction for a “Very Special Table” at a future Beer Talk meeting. Tonight’s beer comes from Golden City Brewery, which will shortly celebrate its own 25th anniversary! As always, the event takes place at Windy Sadddle Cafe and the speaker will start at 6:35. The doors are open at 6, and people will be there early to stake out tables. The Economic Development Commission will meet tonight at 6:30 at the Public Works Building. They will discuss their work plan for 2019, an RFP to replace Golden Business News with a lower-cost alternative next year, and new workforce development webpage designed by city staff. Golden High School PTSA will host their annual Chili Cook Off and Silent Auction tonight (Thursday February 23rd) from 6-8:30 at the High School – 701 24th Street, Golden, CO (map). This major fundraiser of the year supports programs such as Class Room, School, Teacher, Staff and Student Grants, providing much needed supplies, equipment, and educational activities; Senior Scholarships; the Reflections Art Program; and a safe fun venue for After Prom held at the Golden Recreation Center. Awards will be given to the top chili in each of four categories: green, red, white, and vegetarian. If you like chili but don’t want to cook, come on down and taste as much chili as you can, then vote on your favorite. Tasters can buy a ticket, $5 in advance online or $7 at the door. Then find great deals at the Silent Auction: gift certificates to your favorite restaurants, tickets to sporting events, and more. We have manicures, auto and other services, and even bid on one of our GHS parking spots right up front and marked for the Silent Auction winner – great for your student driver. This is GHS’s major fundraiser of the year; it’s fun and entertaining. Last year we funded ten scholarships and over $3000 in requests for equipment and supplies that went directly into our classrooms. Foothills Art Center is hosting Art on Tap from 6-8PM. Golden City Brewery brewmaster Derek, joins us in the galleries every month to discuss creativity in brewing. Foothills staff and our beloved community partners will engage you with discussion, education, and hands-on activities! From 6-7:30 tonight, Pizza Hut is hosting the Kick-Off/Open House for the American Cancer Society West Metro Relay for Life. If you are interested in helping with the fight against cancer, please attend this event – food is free and lots of fun! If you are able to attend or interested in volunteering, or creating a team please email dhamilton1127@gmail.com. Again, the location is Pizza Hut, 17540 South Golden Road (map). Want to do a pub crawl tonight? Dress up in your most festive gear and join other Golden people in a cruise through the breweries. And we will see how the rest of the night goes…. If you are feeling extra cheery and charitable this holiday season, please feel free bring a donation for The Action Center.